What Will Happen If E.T. Phones Us? 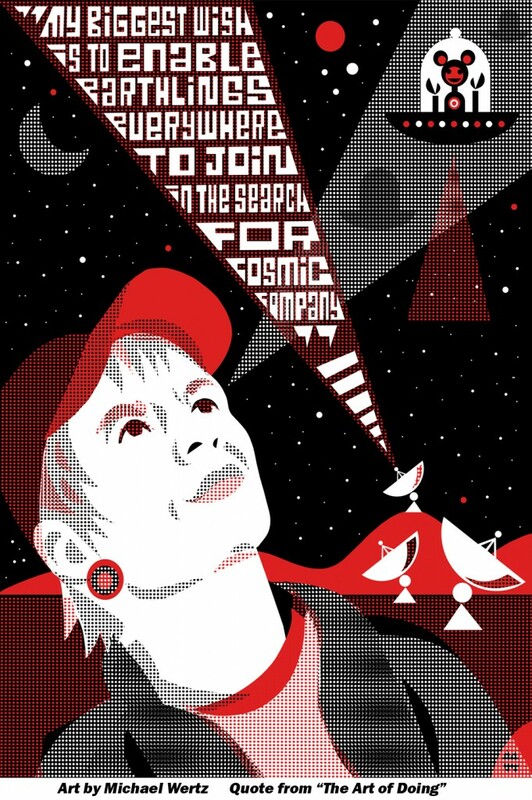 Astronomer, Jill Tarter, the TED Prize–winning, former director of the world’s most ambitious search for alien life at the Center for the Search for Extraterrestrial Intelligence (SETI) Research, offers SETI’s 9-point plan should an extraterrestrial attempt to communicate with us. This summer, Hollywood alien fare paints a far gloomier picture with a deadly alien monster in After Earth, a zombie invasion in World Z, giant robots in Pacific Rim and more robot invaders in The World’s End. So what do the experts really think? Open the champagne (currently a bottle of $10 Freixenet sitting in the observatory fridge). Get independent confirmation from a qualified facility to make sure it’s not a hoax. Call the directors of all SETI-related observatories. Send out an official notice of discovery that goes to all the astronomical observatories of the world. Complete and immediately send for publication the scientific paper we’ve already prepared a template for. Alert our interpreters, astronomers designated to explain our findings to regional and local news media. Hold a press conference to announce the discovery to the world, because the signal isn’t being sent to our observatory in California, it’s being sent to planet Earth and planet Earth deserves to know about it.